Harvey Moon had a difficult time drawing, so he made a machine to do it for him. To further confuse the idea of “the artist” he lets a cricket control the machine. Watch the video from The Creator’s Project below! 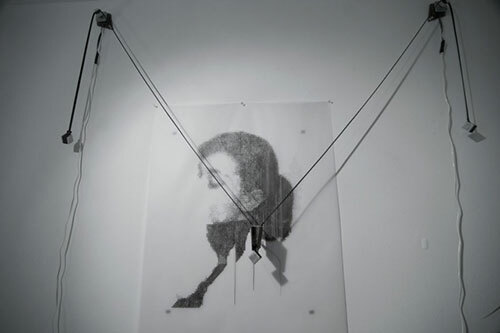 Drawing made by tracking a cricket.